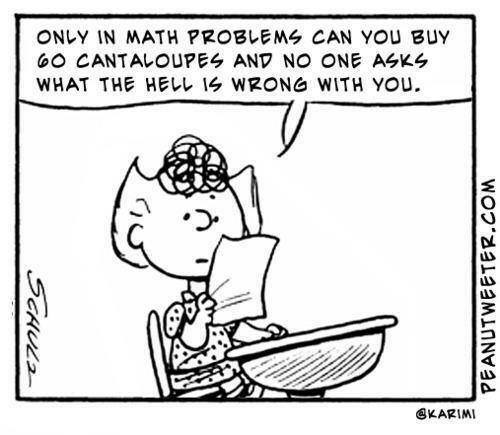 The Problem with Math Problems, Common Core, Standard Tests, etc. I’ve been meaning to write an epic post recounting my visits to schools this past year. The things I’ve seen, the things I’ve learned, but gosh, I keep watching it slide down my list of things to do. * It’s INSANE that elementary schools don’t have full-time librarians. Crazy, backwards, tragic, stupid, ill-conceived. * Writing that above bullet point, I know that I should try to do more. 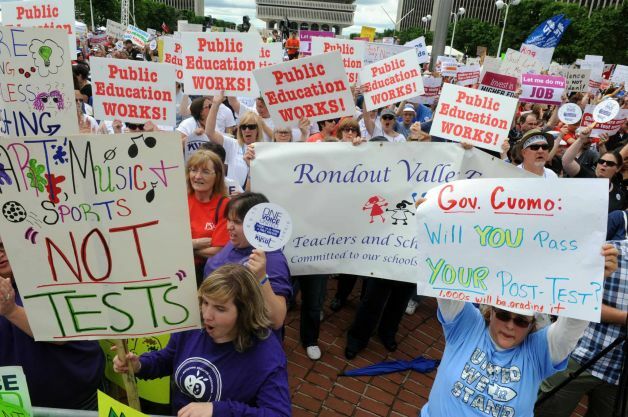 * When educators rally around the state capitol in Albany and chant, “Let us teach, let us teach, let us teach!” that’s just a really sad thing. I wish that we would, you know, listen to them. * I’m so sorry I missed this important public statement, but was off coaching a ballgame. A sincere “thank you” to everybody who showed up to fight the good fight. * NY Principals: Why new Common Core Tests failed.